Sam’s Dad has always been the latke maker in the family – a job he performs with gusto! Last year Sam and I were thrilled to help his dad cook up latkes for the family. We learned a couple of things. First, he suggested that we add grated turnips and carrots to the potatoes. Second, he showed us a trick for getting really good texture. 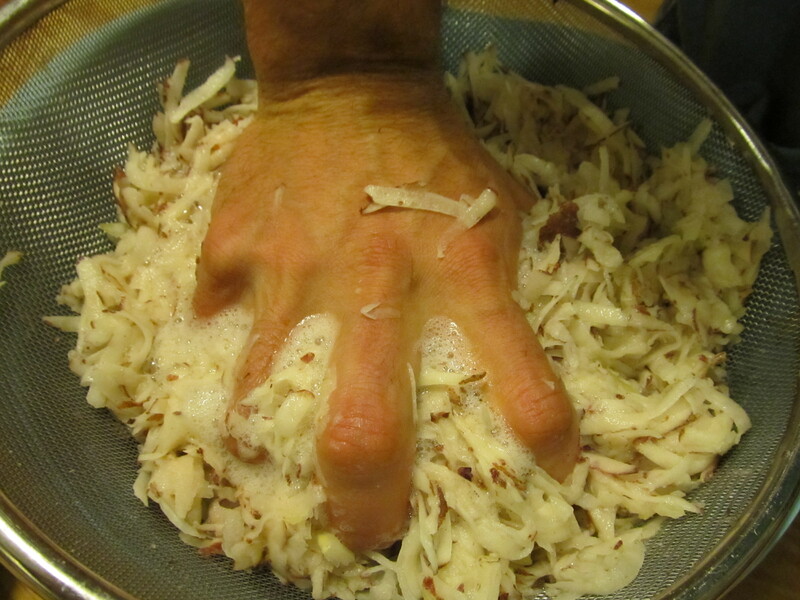 This is for 1 pound of potatoes–double, triple or quadruple depending on how many latkes you wish to make! 1. Grate the potatoes and onions. Place a mesh strainer over a large bowl. Grate the potatoes, roots and onions into the strainer. Add salt and let stand a few minutes to allow the liquid to express from the potatoes. 2. Squeeze the liquid through the strainer. The drier you can get the mixture, the better. Let stand a minute or two. 3. Take the bowl from beneath the strainer, and carefully pour the liquid out. 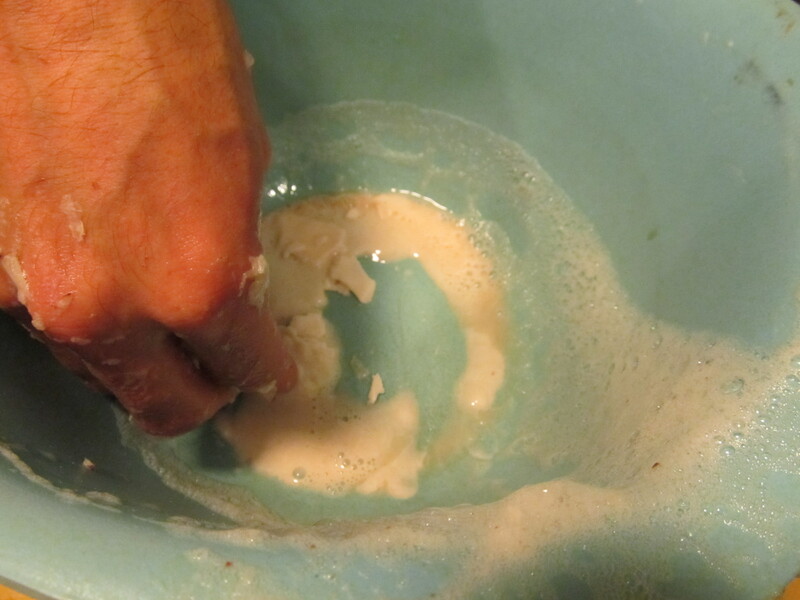 But – and this is the trick – be sure to reserve the potato starch that is left on the bottom. 4. Add the grated potato mixture to the bowl with the potato starch, along with the flax seed meal, more salt and pepper. 6. Heat the oil in a large skillet over medium heat. 7. Once oil is hot but not smoking, scoop out a scant 1/4 cup at a time, shape quickly, and add to the hot oil. 8. Fry each side about 5 minutes, or until deeply golden. Great veggie delight for Christmas Eve!